When is Transmission Repair Service Necessary? Inspecting the condition of your transmission fluid is done with every full service oil change. The transmission fluid will tell us if service is needed. If the transmission fluid is starting to turn brown, transmission fluid service should probably be performed. • Removing the transmission pan. • Removing the old filter and replacing with a new filter. • Cleaning the transmission pan and reinstalling with a new gasket. • Installing the transmission fluid exchanger. • Exchanging all the old fluid with the correct new fluid recommended by the manufacture. • Installing a transmission fluid conditioner for added protection. • Inspecting all lines and hoses for cracks or leakage. • Inspecting all linkages for proper connection and operation. • Disposing of your old fluid according to EPA regulations, protecting our environment. We recommend an automatic transmission fluid exchange service with a filter being replaced every other time. Why a fluid exchange? Most automatic transmissions hold a minimum of 12 quarts of fluid. When the pan is removed and the filter changed you only get 3 to 5 quarts of fluid out, leaving 2/3rds to 3/4ths old fluid in the torque converter, lines, filter and hoses. When we perform a transmission fluid exchange service we remove all the old fluid and replace it with new. By performing a fluid exchange at regular intervals the filter can be replaced every other time. 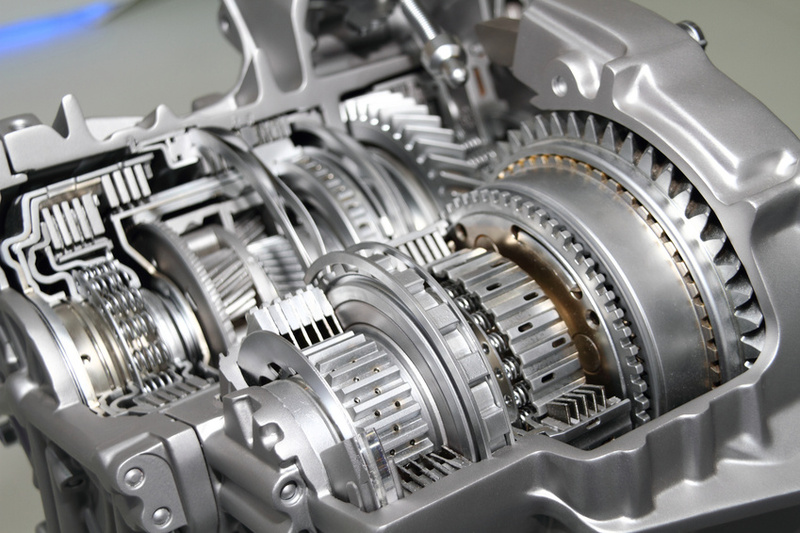 If you require any other transmission repair service, our ASE trained technicians can diagnose your problem and determine whether repair or replacement is your best course of action.